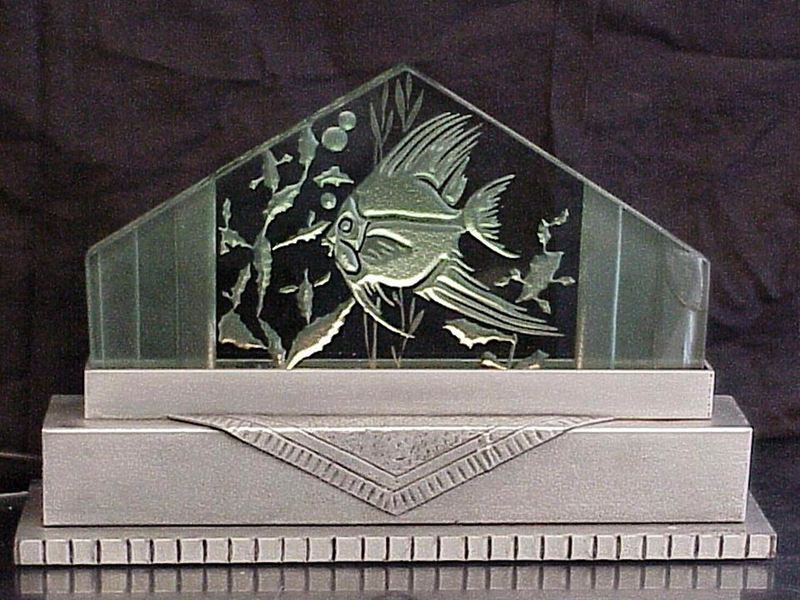 Paul Fehér brought with him from Paris not only the then avant garde style of Art Deco design, but also the technique of carving glass through the use of reverse-image sandblasting, hitherto unknown in Cleveland. In Paris he had seen the success of various pieces that incorporated carved glass with metalwork and he wanted to introduce that trend here. He taught Martin’s middle son Milton to layout and carve glass with sandblasting equipment created in the studio. Milton in turn taught Melvin the technique when Melvin returned from Vienna. Carved glass was quickly and well received in this country. 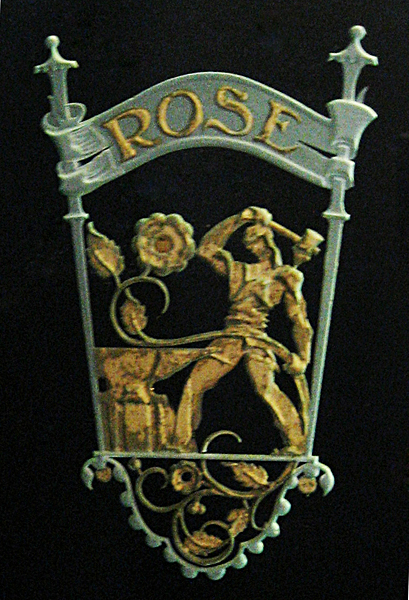 Rose Iron Works received many orders for pieces that combined carved glass with metalwork in lamps, doors and room dividers as well as for stand-alone glass murals. Clients included private enterprise, public agencies, and private individuals. Melvin executed them all, some of his design and some by others. The most ambitious commission was multi-panel, thirty-foot mural for the Dollar Steamship Line. Unfortunately, the ship was requisitioned for the war effort, resulting in the loss of the mural. A sample panel of it and several other unique pieces do exist on display in our office today.